Notes on effective writing at work, school, and home by Philip Vassallo, Ed.D. I would recommend any nonfiction work of James Baldwin. He is masterful in his reasoning and elegant, and at times surprisingly abrupt, in his prose. Years ago when Baldwin was still alive, I read his magnum opus, The Price of the Ticket: Collected Nonfiction, 1948-1985, marveling at how adept he was whether reflecting on race, jazz, language, politics, sexuality, literature, economics, or urban life. The Library of America edition, pictured below, collects that volume along with nine more essays. 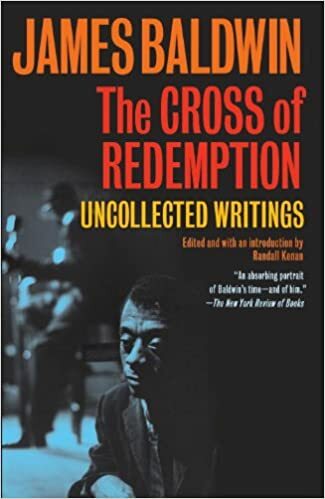 The Cross of Redemption: Uncollected Writings includes speeches, letters, and book reviews, among other pieces, which did not appear in Baldwin's earlier books. Collectively these books offer a deep look into the American psyche during Baldwin's half-century of remarkable composition, a key examination of a writer's unique style, and a powerful testament to his enduring influence on world literature. 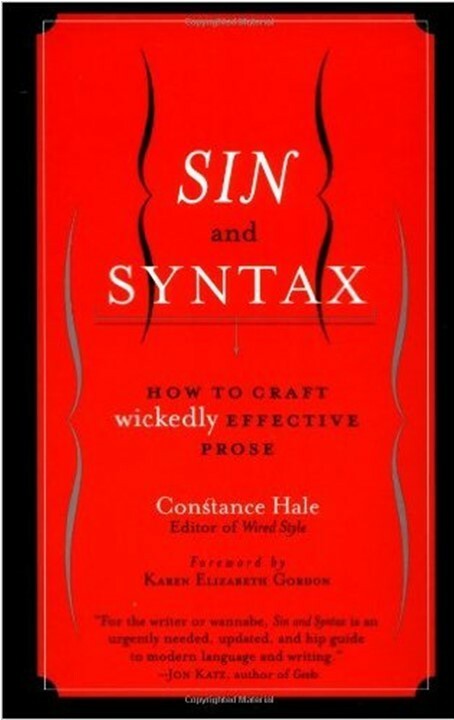 BOOK BRIEF: "Sin and Syntax: How to Craft Wickedly Effective Prose"
Constance Hale's second book on writing, Sin and Syntax, offers a simple structure for looking at sentences: the parts of speech, followed by the parts of a sentence—just as most of us learned in elementary school. And she does so with excellent results. 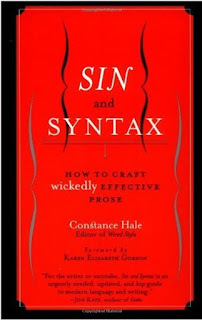 Her love of authors' inventiveness and trenchant commentary about what make bad writing bad make this a useful reference book for writing students. After Parts 1 (Words) and 2 (Sentences), Hale concludes with a third part she titles "Music," an apt name for a study in how the writers who employ the rhythm and lyricism of language engage readers. The eclectic examples will keep you reading. The Inc. website generally offers useful tips on productivity. Since time management is critical component on productivity, you can find some practical email time management suggestions in Inc's "12 Email Tips to Increase Your Productivity" by David Finkel. Understand that every time you do that one "quick" email, that interruption radically diminishes your concentration and flow on the other, higher value work you were doing. To get less email, send less. Turn off your auto send-and-receive function. If you're involved in a frustrating back-and-forth conversation by email due to hazy understanding on either side, just pick up the phone or speak in person. In replying to a long conversation thread, pull up the key information to the top of the email. If we took such advice, Inc. wouldn't be giving it. Found Around—Random Writing Tip 7: Watch You But! The tone we set in writing business messages goes a long way in getting our audience to read them. Since we do not benefit from body language and vocal intonation when writing, we need to choose words carefully to set the right mood. Choosing positive expressions will help. For sure, we sometimes have to be the bearers of bad news. But many writers are either unconsciously negative or unable to turn a negative into a positive, so this simple tip may be useful in coming across as a more supportive businessperson. Just writing but can cause a tone problem. Imagine receiving this message: The quality of your project report is excellent, but you submitted it late. The compliment before but seems disingenuous, as if the writer really wants to focus only on the disappointingly late submission, not at all on the report quality. Imagine if the ideas in the sentence were reversed: You submitted the project report late, but its quality is excellent. Now the message seems more positive, especially because it ends on a positive note. Even more disingenuous would be a paragraph that read something like this: The quality of your project report is excellent, but you submitted it late. As a result, I had to request a waiver of the deadline, which took a considerable amount of time and effort. While you told me you'd be a day late, you were unavailable to help me with the waiver request, so I had to rearrange my work schedule. In this example, only 8 words (13%) are positive and 53 words (87%) are negative. In this positive rewrite we strike a better balance by removing the but mentality altogether. The quality of your project report is excellent. Your focus on our mission, comprehensive assessment of data, organization of ideas, and command of language are impressive. It reflects well on how you manage your department and exemplifies how we want our staff to communicate. Fortunately, your fine work was saved from being rejected for missing the deadline. Your request to extend the deadline without being available to submit a deadline waiver caused considerable time and effort for me to submit it and made me rearrange my work schedule. To avoid a similar situation, please give me at least a week's notice that you'll be late and submit the deadline waiver on time. These steps will ensure that your work rises to the highest communication standard and reinforces management's positive impression of you. This 132-word rewrite has 3 paragraphs, one for the positive (44 words), one for the negative (44 words), and one for the recommendation (44 words). It still gives the needed bad news but begins and ends on a positive note. Sure it increases the word count of the original by 149%, yet sometimes the situation calls for us to add ideas to sound supportive of a worthy employee. So get off your but. Lipogram: What's Unusual About This Post? Philip Vassallo is a communication and education consultant. Phil is the author of three instructional books (HOW TO WRITE FAST UNDER PRESSURE, THE ART OF ON-THE-JOB WRITING, and THE ART OF E-MAIL WRITING), two play collections (QUESTIONS ASKED OF DYING DREAMS and A CASE-BY-CASE BASIS: FOUR SHORT PLAYS), two essay collections (PERSON TO PERSON: ESSAYS FROM TWO CENTURIES and THE INWARDNESS OF THE OUTWARD GAZE: LEARNING AND TEACHING THROUGH PHILOSOPHY), and two poetry collections (LIKE THE DAY I WAS BORN: 40 POEMS, 40 PLACES, 40 DAYS and AMERICAN HAIKU). Twenty-one of his plays are licensed through Samuel French, Heuer Publishing, and Brooklyn Publishing. He holds a doctorate in Educational Theory and Philosophy from Rutgers University and received a New Jersey State Council on the Arts grant for playwriting. Phil can be reached at Phil@PhilVassallo.com. Essay: "More Than Grades: How Choice Boosts Parental Involvement and Benefits Children"
Recommended Reading: "Effective Writing: Stunning Sentences, Powerful Paragraphs, Riveting Reports"
© 2005-2011 Philip Vassallo. Simple theme. Powered by Blogger.